However, breast pump coverage under the Affordable Care Act, present big differences between health insurers in what sort of pumps are covered, and how. Health Insurance coverage varies from plan to plan because the ACA doesn't make specific recommendations. Some cover purchase of manual pumps only, while others exclude hospital-grade pumps often used by mothers who just gave birth for better milk flow. Some plans make exceptions to cover electric pumps if a doctor recommends it. Most plans require moms to get breast pumps from designated vendors. Then there can be an issue where the vendor doesn't offer the breast pump the mom prefers, which could make it difficult to get reimbursed for purchasing a bump other than what the vendor provides. The ACA also exempts health insurnace plans that meet certain requirements, so not all plans have to provide the coverage. Though the Affordable Care Act gave a huge boost to breast pump sales, many new moms don't fully know the steps to get one. We recommend you contact your health plan immediately with the contact info on your health card. The women’s law center also provide a helpful page with steps to help you determine if your plan is offering the benefits, and how to use them. The average age of weaning in the U.S. is three months, according to the National Association for Child Development. The American Academy of Pediatrics recommends breastfeeding for a minimum of a year, and the World Health Organization suggests two years. Breastfeeding rates are continuing to rise in the U.S., according to the Centers for Disease Control and Prevention. In 2011, 79 percent of infants started to breastfeed. 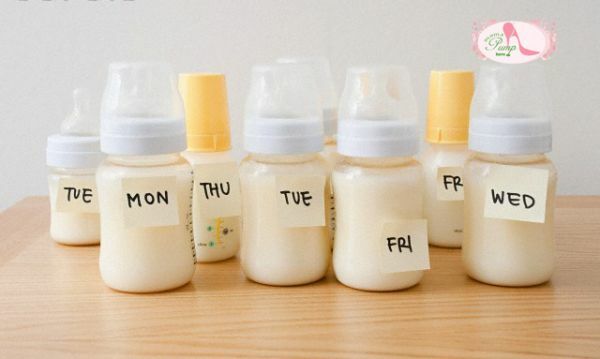 At 6 months, about half of infants were breastfed. At 1 year old about a quarter of infants were. We spoke with Mr. Yoel Wertheimer Owner of AMedSupplies.com (his company bills most health insurance providers in New York for breast pumps). "Our aim is to get for the mom nothing but the best brand Breast Pump delivered to the door within 1-2 business days. All we need is a doctor’s prescription & insurance information faxed or emailed. you may also fill out our online order form and have a look which breast pump is covered by insurance and we take care of the rest." Exclusively breastfed infants get sick less often due to the immunological properties of breast milk, and require fewer sick visits which decrease parental employee absenteeism. Thus, breastfeeding lowers health care costs - $475 per infant lower during the first year of life - compared to infants not breastfed during the first 6 months of life. In addition, breastfed infants have a reduced risk of obesity and other chronic health conditions, and their mothers, a reduced risk of breast or cervical cancer.